AC Current sensor is a non-invasive sensor for measuring alternating current. This split-core type of sensor can be clipped around either a live or neutral wire. With AC Current click bundle (AC Current click + AC Current Sensor) you will be able to measure alternating currents up to 30A. The click is designed to run on either 3.3V or 5V power supply. 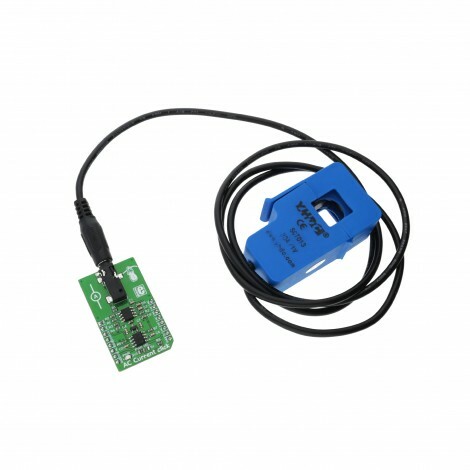 It communicates with the target MCU over an SPI interface, and the AN pin on the mikroBUS™ line.